We are very excited to announce our first live deployment of the EON Platform enabled EZ Print remote printing solution. 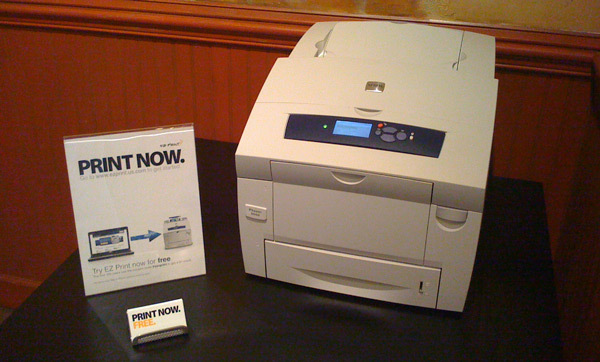 This print cloud technology allows users to print to any EZ Print location, at any time, from anywhere in the world. 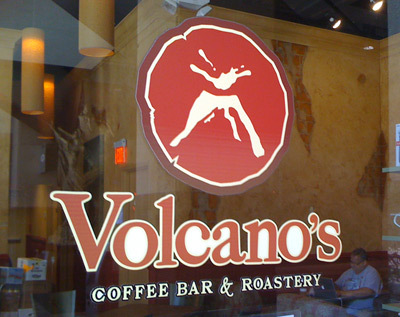 This week we installed our first device at Volcano’s Coffee Bar at 133 S Orange Avenue in Downtown Orlando (located directly below The Plaza Cinema Café). We will be actively monitoring and testing the device to ensure the highest quality user experience possible. While enjoying their coffee, patrons of Volcano’s will have the opportunity to easily print to this Xerox Phaser 8560 high quality color printer by simply registering on the EZ Print website. Whether they need to print a presentation they’re working on or some family photos to share, this easy and affordable solution will get it done seamlessly. Stop by today to use the service and get $1 in free printing (up to 10 pages in B&W) if you’re one of the first 100 people to register. To learn more about EZ Print’s print cloud technology solutions, visit www.ezprint.us.com .